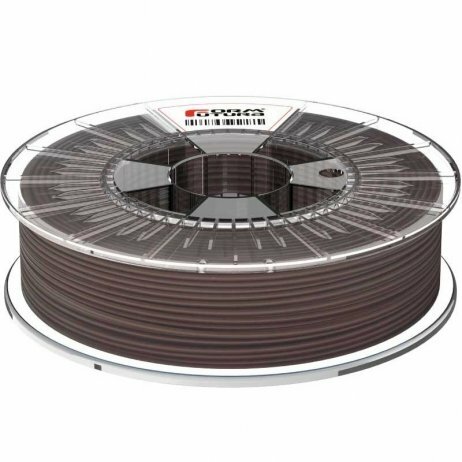 Formfutura EasyFil™ Brown PLA is a deep, woody colour. 3D objects printed with EasyFil™ Brown PLA are opaque. Comes in a transparent 750g spool. FormFutura filaments are opaque and have a regular diameter. This PLA is designed for minimum detachment (warping) and almost no deformation during cooling. Simply print on your 3D printer with a high quality PLA of regular diameter. Formfutura EasyFil™ Dark Green PLA includes hints of turquoise and is 100% opaque. 3D objects printed with EasyFil™ Dark Green PLA give a natural look to your 3D prints. Comes in a transparent 750g spool. Formfutura EasyFil™ Orange PLA is a deep, intense colour and is 100% opaque. 3D objects printed with EasyFil™ Orange PLA are shiny and bright. Comes in a transparent 750g spool. Formfutura EasyFil™ Light Green PLA is the colour of a green apple and is 100% opaque. 3D objects printed with EasyFil™ Light Green PLA are smooth and bright. Comes in a transparent 750g spool. Formfutura EasyFil™ Yellow PLA is an intense, vibrant colour and is 100% opaque. 3D objects printed with EasyFil™ Yellow PLA are intense and sophisticated. Comes in a transparent 750g spool. Formfutura EasyFil™ Dark Blue PLA is a navy blue colour and is 100% opaque. 3D objects printed with EasyFil™ White PLA have an opulent, sophisticated look. Comes in a transparent 750g spool. Formfutura EasyFil™ Red PLA is a bright red of striking purity and is 100% opaque. 3D objects printed with EasyFil™ Red PLA are very colourful and bright. Comes in a transparent 750g spool.